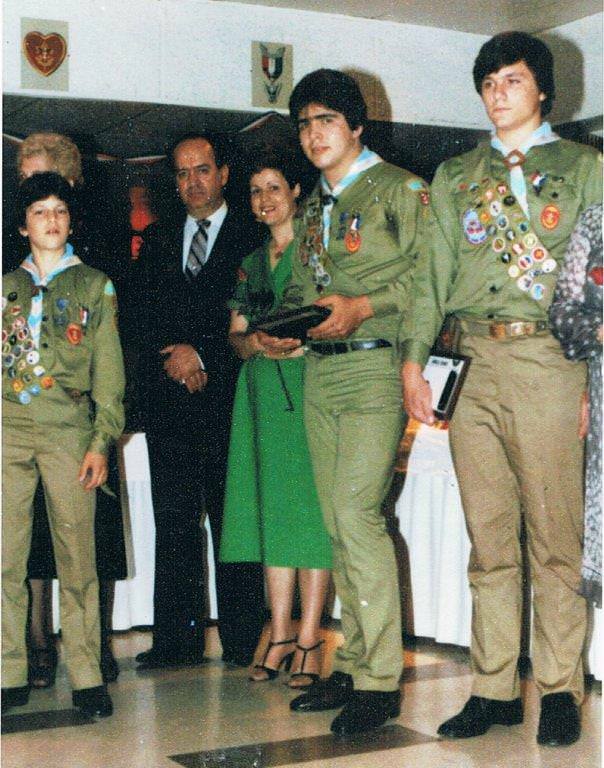 Greek Boy Scout Troop 302, based out of St Dimitrios Church, Upper Darby in the 1970’s. Three individuals receiving their Eagle Badge, the highest award presented to Boy Scouts. The names of two of the three Scouts receiving the Eagle Badge are Perry Katsapis and George Stamatas.